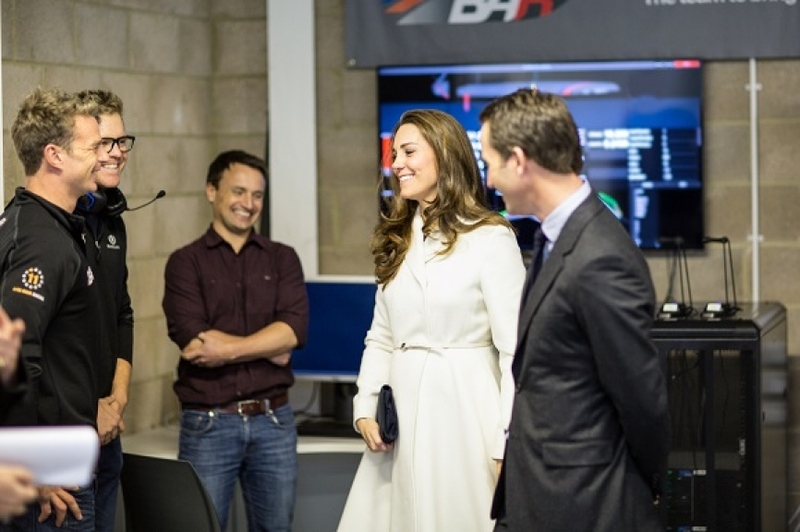 Ben Ainslie Racing (BAR) and the 1851 Trust hosted a visit from Kate Middleton, The Duchess of Cambridge, who is the Trust’s Royal Patron. The heavily pregnant Duchess received the inside track on the team’s progress and was privy to some of the secret technology that will not only give the team the competitive edge in the upcoming 35th America’s Cup, but also be adapted for the BAR Visitor Centre. This will be run by the 1851 Trust at BAR’s Portsmouth headquarters and aims to show not only why Science, Technology, Engineering and Mathematics (STEM) matters, but STEM in action. Many of these technologies will be simplified and used within the BAR Visitor Centre which will be an engaging and interactive showcase for the sport, sustainability and innovation, to inspire and engage more young engineers. It will also support the STEM agenda – to focus on Science, Technology, Engineering and Mathematics in schools and provide resources to teachers within the core subjects. 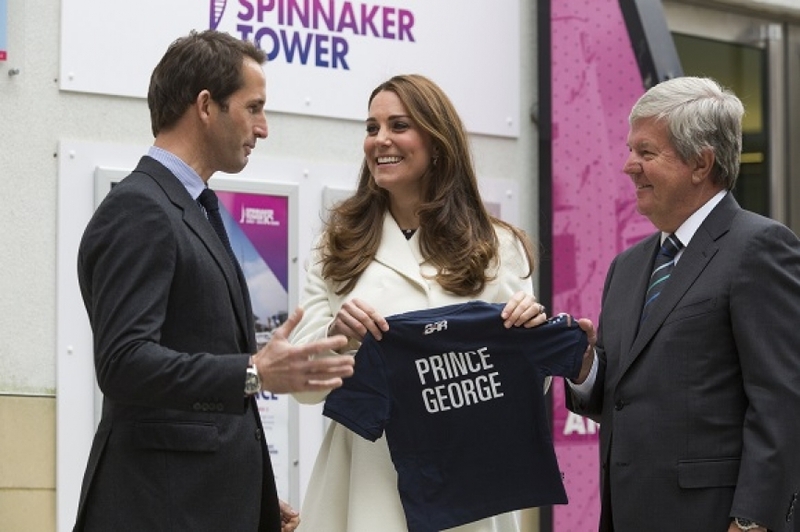 Ben Ainslie said; ‘It was fantastic to have The Duchess join us today. 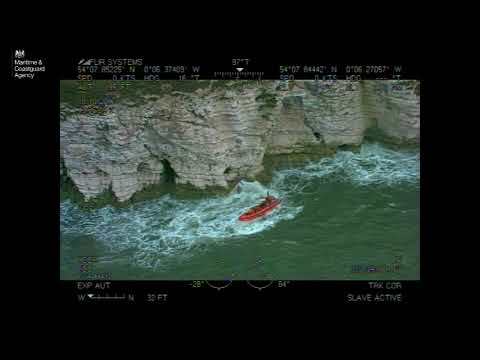 We’ve just returned to sailing on the Solent with our training boat, and it was a chance for us to be able to explain what we are up to on the technical side of the team’s challenge, and show the work that goes on behind the scenes. The tour continued to Old Portsmouth and the construction site of the new headquarters and BAR Visitor Centre. To celebrate its launch last October, the 1851 Trust hosted an art project, coordinated by Southsea arts company Strong Island, bringing seventy two young people from six local schools together – St Jude’s Church of England School, Park Community School, Admiral Lord Nelson School, Charter Academy, Ryde School and Ryde Academy – to work on a painting of the Solent waters that link them all. Local street artists James Waterfield and My Dog Sighs supported the project, painting the skyline from Portsmouth to Ryde, Isle of Wight, and worked with the students who filled the Solent with images of its rich maritime history – a history that Ben Ainslie Racing will maintain from their new home in Portsmouth. The students showcased their artwork to The Duchess, including HMS Victory – Admiral Lord Nelson’s flagship – now just a few hundred metres away in the Historic Dockyard. 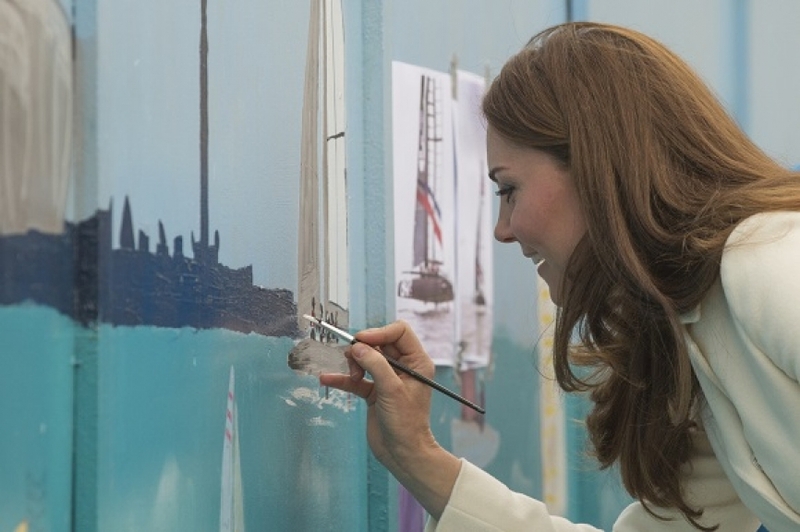 The Duchess added her own touch to the mural, alongside Team Principal, Ben Ainslie, with a painting of the team’s AC45 – the dramatic, high-speed foiling ACWS boats that will race off Portsmouth and Southsea seafront in July 2015 and 2016. The final stop was the Spinnaker Tower in Gunwharf Quays, which provided a great view from over 100m in the air of the BAR headquarters site and the construction work. Sir Keith Mills said: ‘The team will move into their new Headquarters building in May, and we will look to a soft launch of the Visitor Centre in July, with it fully open in September in time for the new academic year. Local students from Brune Park Community School, City College Southampton, Cowes Enterprise College, Springfield School, Mayfield School, Portsmouth Grammar School, Priory School, Riders Junior School and Westover Primary School were also invited to meet The Duchess. The 35 students are some of the first to experience the ideas and exhibits in development that will feature in the Visitor Centre, including a virtual 3D sailing experience. Once open, the centre will provide a unique new experience of sailing for visitors, giving those who have never previously been in a sailboat a sense of what it’s like to race at the very top of the sport. The new building is being constructed to BREEAM Excellent standard, and sustainable operations and safeguarding the marine environment are the final pillar of the 1851 Trust’s activity. Claire Oulton, 1851 Trust Trustee and education specialist, said: ‘The Visitor Centre will provide a stunning new resource for teachers and young people here in the heart of Portsmouth. The government often talks about the STEM agenda — that is the link between Science, Technology, Engineering and Maths – and the America’s Cup pulls together every aspect of STEM. In the Centre we will be able to show not only why STEM matters but STEM in action. The Duchess also met apprentices from City College, Southampton. 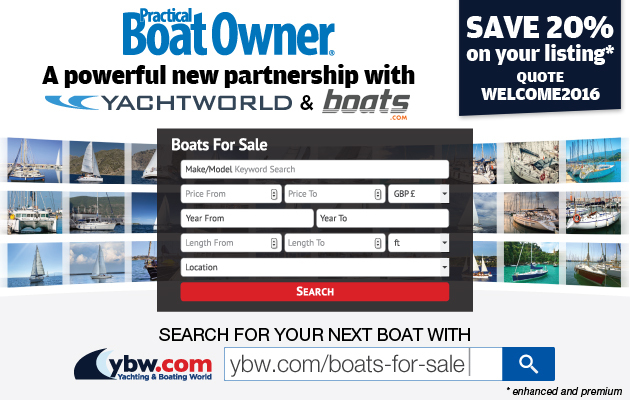 The student apprentices are building two ‘Docking Ribs’ (specialist boats that will help manoeuvre the America’s Cup multi-hulls in preparation for craning) in a combined project with BAR. Helping young people achieve maritime skills and qualifications is another long term goal of the Trust.